Use UpToDate to find the most recent evidence, improve patient care and hospital performance. Login with your OpenAthens username and password. Use the mobile app to make the right decisions quickly and accurately at the point of care. To obtain the app on your mobile device go to the intranet, select Favourites, select CUH Application then UpToDate. Please register to given an up-to-date username and password. 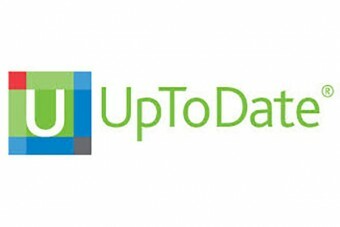 Once you have registered you can download the UpToDate app on your mobile device. This has be to be completed within the hospital. Once this is done the app can be accessed anywhere. If you are outside of the hospital and wish to access UpToDate on a PC you should use your OpenAthens username and password.